Opti-Diesel is a blend of metallic and organometallic catalysts in a solvent carrier that is added to fuel. Opti-Diesel is the culmination of over 10 years of research and development. There are many kinds of free radicals. Oxidation catalysts in Opti-Diesel work by facilitating formation of oxygen free radicals. The free radicals then react with fuel to improve combustion efficiency. The reduction catalysts in Opti-Diesel work by using existing hydrocarbon free radicals formed during the combustion process to reduce unwanted gaseous emissions. As an example of what free radicals do, take the case of the combustion process, which is actually a free radical reaction process. Combustion occurs by the initiation, propagation, and termination of oxygen free radical reactions. In combustion engines, boilers, etc., the free radical reactions between atmospheric oxygen and carbon-based fuels are typically initiated thermally. The initiation of a reaction takes energy from the system, and the energy required is called the Activation Energy. In the case of a combustion engine, Activation Energy is the energy spent initiating and propagating the combustion reaction, and is not seen as engine output. Normally, an oxygen molecule consists of a pair of oxygen atoms (O2), which is a stable, neutrally charged molecule. The free radical form is a single atom of oxygen which is highly reactive due to having an unpaired electron. In order to form oxygen free radicals, you have to overcome the energy inherent in the electron-electron bond between the paired oxygen atoms forming an oxygen molecule, splitting the molecule into a pair of oxygen free radicals. Once unpaired, the reaction between oxygen free radicals and fuel can take place. When applied to carbon-based fuels such as petroleum, the reaction between oxygen free radicals and fuel results in formation of carbon dioxide (CO2) and carbon monoxide (CO). Other elements such as sulphur, nitrogen, and hydrogen are normally present in the fuel and in the air, and on reaction with oxygen free radicals during combustion, oxides of nitrogen (NOx), oxides of sulphur (SOx), and water (H2O) are formed. Certain catalysts in Opti-Diesel serve to reduce Activation Energy for the combustion process. 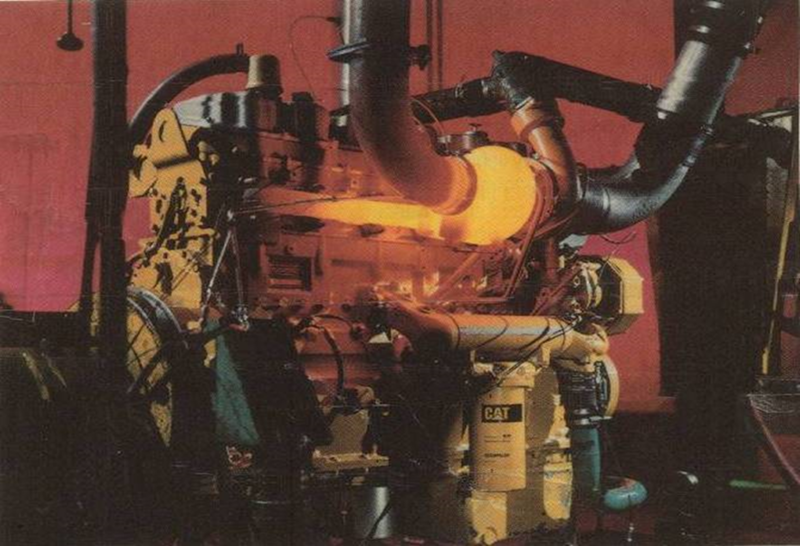 By reducing the Activation Energy needs in a combustion engine, Opti-Diesel increases the amount of system energy left, which is then available to do work. This shift often is seen by the user as an improvement in Specific Fuel Consumption, which is the amount of fuel consumed while performing a specific amount of work, i.e., moving a set load a set distance. In use, Specific Fuel Consumption improvements occurred very quickly after addition of Opti-Diesel to fuel. Effects on emissions occurred more slowly. It is believed that the reduction catalysts need to reach a threshold value in an exhaust system before significant reductions are noted. In essence the catalysts turn the inside of the exhaust system into a giant catalytic converter. In use over several years, however, no restriction of emission systems has been noted, nor has any damage to existing catalytic converter systems been noted. The metallic components of the Opti-Diesel catalysts are also normally found as trace elements in petrochemical fuels, however, the oxidative states and molecular formulae are different than that normally noted as trace elements. The amounts of catalysts added are vanishingly small – diluted to manufacturer specifications, the metallic elements comprising the catalysts comprise levels several orders of magnitude less than the normal amounts of the same metals present as trace elements. Phosphorus is also a component of one of the catalysts. Again, diluted to manufacturer specifications, concentration of phosphorus in Opti-Diesel treated fuel is multiple orders of magnitude lower than the amounts normally found in biodiesel blends or the 15 mg/Kg maximum limit for bunker fuels to be considered free of used lubricating oils. The solvent carrier is miscible in diesel, biodiesel, gasoline, bunker fuel, etc. Diluted to manufacturer specifications, Opti-Diesel treated fuel is literally indistinguishable from untreated fuel. The other catalysts in Opti-Diesel utilize hydrocarbon free radicals present in the exhaust gas after the combustion process is completed along with a little of the energy stored as heat in the exhaust gas as the driver for chemical reduction reactions (in this case, reactions forming stable oxygen, nitrogen, carbon, and sulphur molecules from CO/CO2, NOx, and SOx) in the exhaust gas, which helps reduce unwanted emissions. From a technical perspective, the two free-radical processes outlined above operate at cross-purposes. One set of catalysts promote oxidation reactions, the others promote reduction reactions-in this case, de-oxidation of oxidized N, C, and S. GEN’s Opti-Diesel product is based on a balance between activity of the catalysts and the ratios between them to insure that the oxidation reaction promoting catalysts operate overwhelmingly in the combustion chamber and do not affect the reduction reactions in the exhaust system, and that the reduction reaction promoting catalysts operate overwhelmingly in the exhaust system without adversely affecting the combustion process.